The material we offer you is high Durability, UV-Resistance, Fire resistant, waterproof and NO Lead.And we make it according to CE&EN71. We double stitch everywhere and fourfold stitch at the bottom point place. We use strong zipper and there is a zipper cover outside the zipper for protection. And we make flap outside the air tube, the flap can slow down air out when power cut off suddenly.What't more we also make many fasten rings for fix. 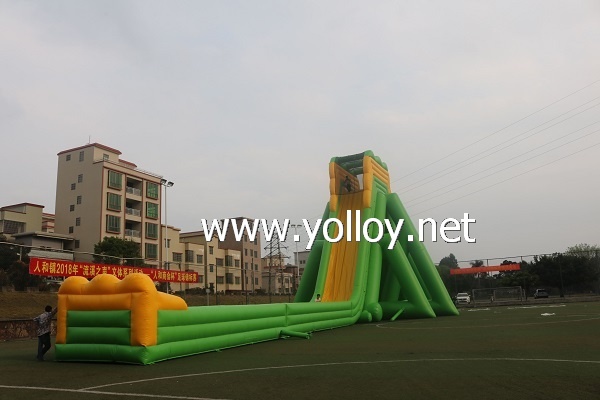 This inflatable slide can be used in house, backyard, public, hotel, birthday party, school, amusement park, kindergarten,festival activity, advertisement, promotion, rental, etc.